This approx 83 acre property has lots of recreational use! Loaded with whitetail deer and turkey with some small game like squirrel and rabbit! Deer and Turkey Hunting is the main hunting and this property is LOADED. There is a couple of springs on the property which is great for the wildlife. This property has road frontage to 167 just 3 miles north of Cave city, AR 72521 in Sharp County. Lots of mature timber on this property makes this place gorgeous. 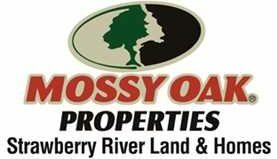 Maybe your looking to build that forever home but want some land to hunt also…Well here you go! Give me a call at 870-897-0700 to view this property.